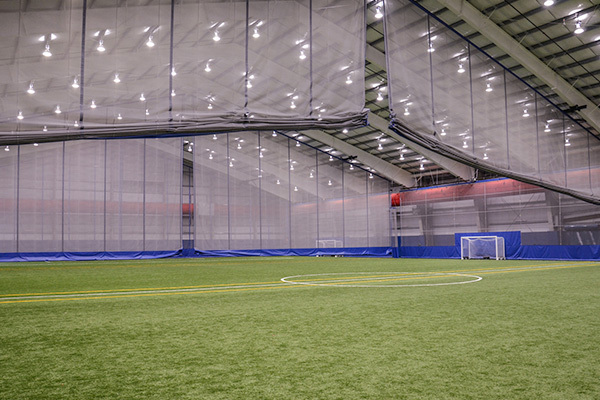 At Play On Courts we offer an extensive selection of divider curtains that will integrate seamlessly with your athletic facility or gymnasium. Our divider curtains provide the perfect solution for hosting multiple activities simultaneously on the same court. They are great for gymnasiums that host competitive leagues, school activities that require frequent division of the playing area or to protect bystanders from on-court activity. Center roll divider curtains allow operators to quickly raise or lower divider curtain into place. Porter center roll divider curtains roll to within 14" of the ceiling, allowing the curtain to remain out of site in the storage position. 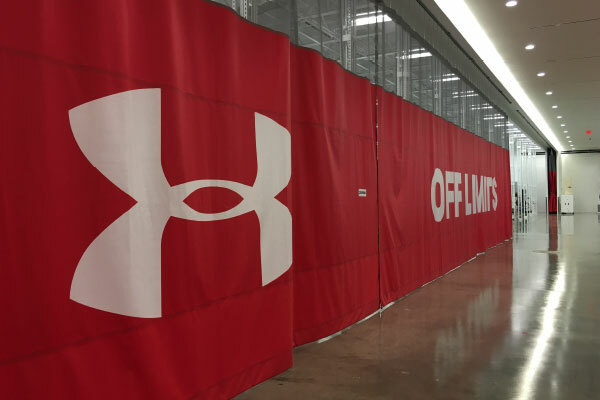 Play On Courts can customize center roll divider curtains to match your facility aesthetics. Fold-up/Roll-up divider curtains can be lowered or raised quickly and easily with an electric winch. Our fold-up/roll-up divider curtains allow for maximum storage efficiency, as well as quick transitioning between activities.